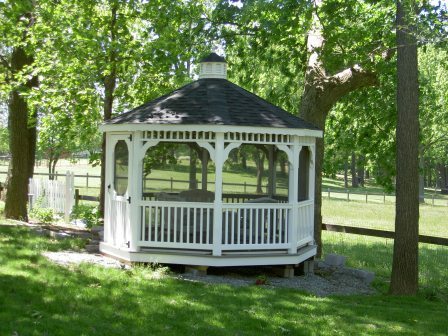 Enhance the value of your backyard with these beautiful Gazebos that you can build! All Gazebo Plans feature clear 3D views that allow you to careful plan, layout and build your Gazebo quickly and efficiently. Available as a set, or as individual gazebo plans. While our shed plans remain our most popular choice for backyard project builders and do it yourselfers, our new Gazebo Plans package has really gotten people excited. There is no better way to spice up your outdoor backyard life than by building a new custom gazebo using our custom gazebo plans package. 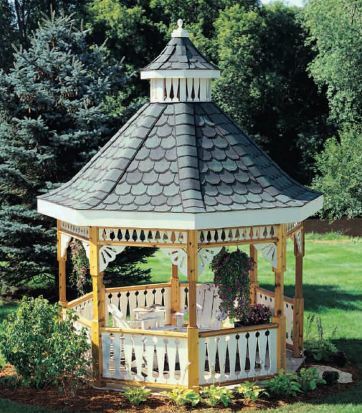 Have you been thinking about building a garden gazebo? Something to spice up your backyard with some party space? 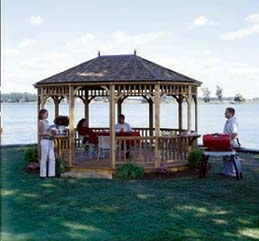 Perhaps you are interested in building a gazebo for having a shady place to hang out with the family? Or maybe you would rather enclosed the gazebo and use it for storage? 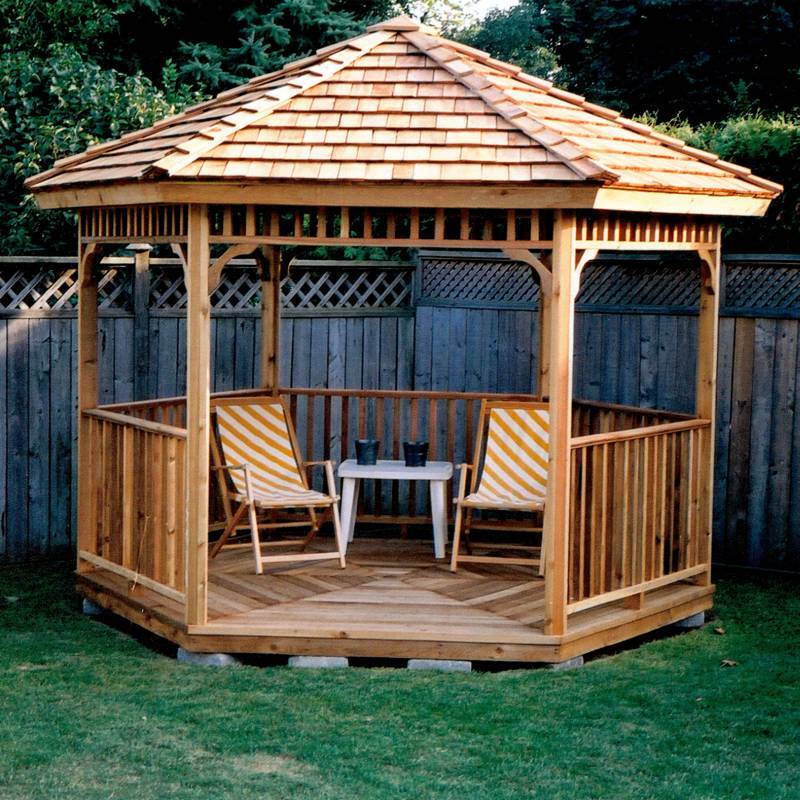 Whatever your needs are, we have wood gazebo plans to suit you. 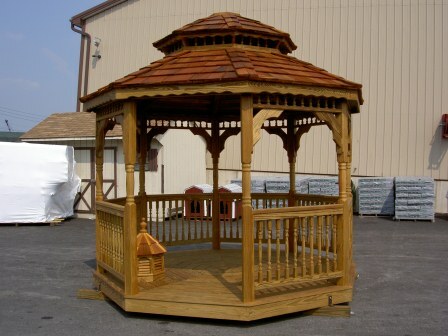 All of our gazebo plans are all original, custom designed using the latest professional grade CAD software. All of them are fully detailed gazebo plans, with close up views and exploded views. 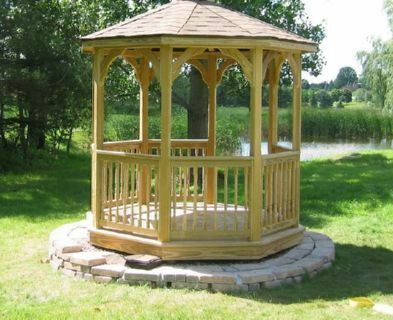 All of our gazebo plans also come with a full bill of material and a choice of foundations. 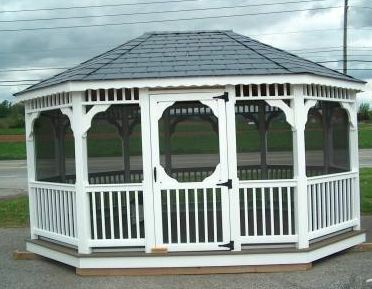 Our custom designed gazebo plans in are available in various styles and sizes. 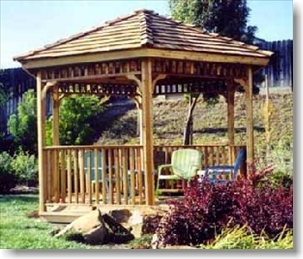 You can buy them as a complete gazebo plans package and get them all at once, or you can purchase individual gazebo plans if you know the one you want. 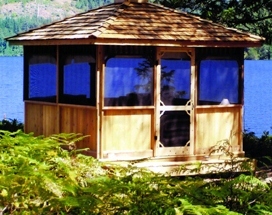 Our most popular individual gazebo plans are offered for sale one at time, if you don't want to buy the full bundle. 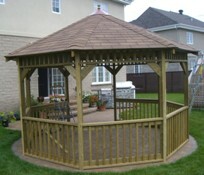 Although the full gazebo plans bundle that we offer is the best overall value. Adding a little garden gazebo in your backyard is a great way to increase storage space, add value to your home, and provide some well needed family space. They are great projects for a father and son to do. Yes, it is easier than you think to build a backyard gazebo. 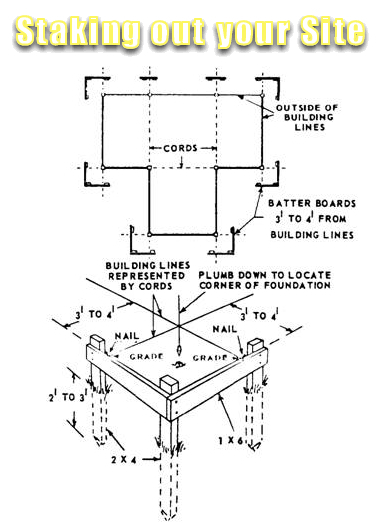 The first thing you need is a good set of gazebo plans. You'll also need some help, some space, and some tools. We can't help you with all that, but we can help you with the gazebo plans. 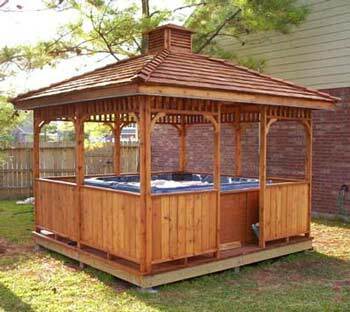 Take a look through our gazebo plans, and give them a try, you'll be glad you did. You won't see these all over the internet as part of someone's collection of "junk" plans that they package with hundreds of other junk plans. Our gazebo plans are quality plans at some of the best prices around. Whether you want rectangular gazebo plans, square gazebo plans, oval gazebo plans, pergola plans, gazebo designs for kits, add a fireplace to your gazebo, or even screened gazebo plans, I think you'll find what you are looking for here. 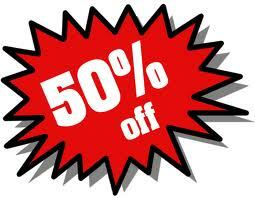 Created originally by ADV Plans, LLC. 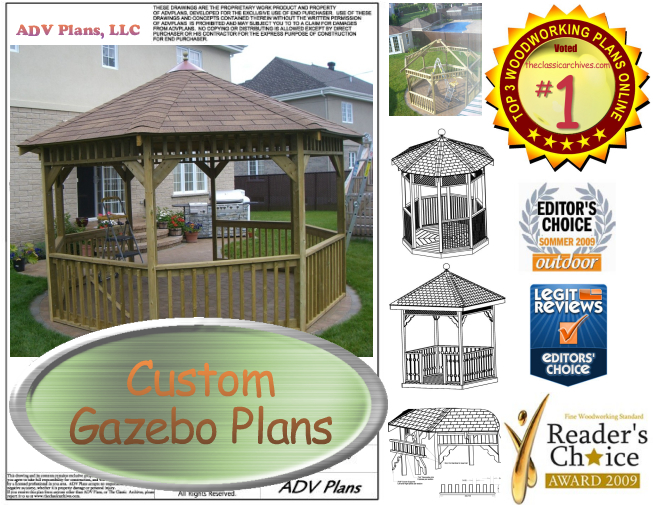 All of our gazebo plans are available as IMMEDIATE DOWNLOADS.